Below you can view all the homes for sale in the Whitehall subdivision located in Roswell Georgia. Listings in Whitehall are updated daily from data we receive from the Atlanta multiple listing service. To learn more about any of these homes or to receive custom notifications when a new property is listed for sale in Whitehall, give us a call at 404-998-4017. Located In The Highly Rated Roswell High School District. MLS#6538212. Keller Williams North Atlanta. 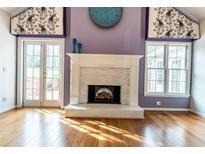 Beautiful Bamboo Floors Highlight The Vaulted Great Room With A Stunning Fireplace And Soaring Windows. MLS#6502699. Century 21 Connect Realty. Situated On 1+Acre Lot W/Wooded Privacy, Fenced In Yard & Gently Babbling Creek Running Through Side Yard! MLS#6095754. Atlanta Communities. Well Maintained Home Just Needs Your Touch!! ! MLS#6086989. Boyce Real Estate Group, Llc..